It struck in a second. If you’d have blinked, you would have missed the flash but you’d’ve known it was there by the rumble that followed. 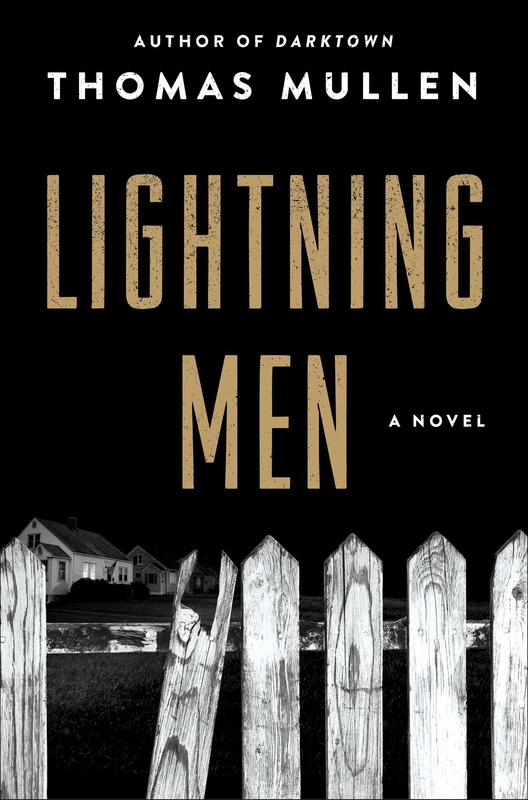 There’s nothing like the power and beauty of a summer thunderstorm to put respect into you – except, as in the new novel “Lightning Men” by Thomas Mullen, maybe the crack of a gun. Even from the front of the truck, Officers Lucian Boggs and Tommy Smith could see that this was trouble. They’d known for a time that if anyone was going to stop illegal substances from flowing into the part of Atlanta known as “Darktown,” it would have to be them. White police officers wouldn’t bother arresting “Lightning Men” who brought drugs and moonshine in; they didn’t care, but Boggs and Smith knew what those things were doing to the people of their community. And so, there they were, approaching a delivery truck in a narrow alley one night, guns in hand. The subsequent lack of support from fellow officers came as no surprise, nor did the release of the men Boggs and Smith had arrested. That was the latest in a long line of slights from White Atlanta, which was busy being outraged that Black families were moving into formerly-white neighborhoods. One of those neighborhoods was where Officer Dennis Rakestraw lived. Rake really had no issue with “Negroes” moving into his neighborhood, but he knew his brother-in-law, Dale, did. Dale was an idiot, that was sure, and Rake was dismayed to know that he was also Klan. It was that part that got Dale into trouble before – but never as much trouble as Dale was in now, and he’d pulled Rake straight in the middle of the storm. As tension heated up over neighborhood segregation, a similar tension simmered within the APD over “the colored experiment” within the department, a white banker assaulted by Klansmen, shoot-outs, beatings, and the return of someone who should’ve stayed away. Trust in Atlanta that summer was a rare commodity – between man and woman, between relatives-by-marriage, and even between two APD partners. There’s a lot going on inside “Lightning Men” – which is good, and it’s not. and flavored by the presence of real-life people, this novel, set in 1950, also contains snippets of authentic racism, Jim Crow laws, and social mores of the post-War American South. This offers readers a fine tale with an atmosphere of confusion, beauty, and horror, in which author Thomas Mullen inserts two officers, both of whom are likeable characters and fit perfectly into this story. But oh, it’s a long story. Too long, in fact: plot lines stretch forever before tying up; dead characters strut on the sidelines; and a rotating cast numbers in the dozens, which can make a reader disoriented. A too-convenient ending is no fun, either. And yet, readers of noir crime dramas might relish tackling this book and its meticulously-written lushness; if that’s you, this is your kind o’book. For lighter readers or cozy-mystery fans, though, “Lightning Men” probably won’t strike you.